The Golden Gate Fishermen's Association is a group of sport fishing professionals and concerned anglers dedicated to the preservation and enhancement of he marine fisheries in the San Francisco Golden Gate waters of the Central Pacific Coast. The GGFA welcomes you to come enjoy our world-class fishing for salmon, halibut, striped bass, lingcod and rock cod, albacore tuna, sharks and more. 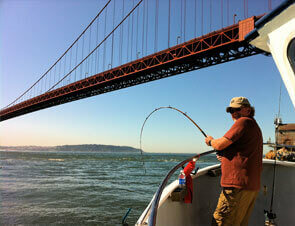 There is Salmon fishing from the last week of February through the last week of October. 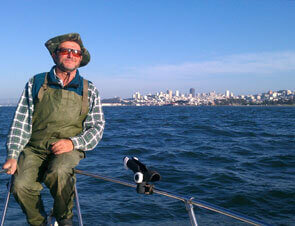 Rockcod, Summer Potluck, Sturgeon, Shark, Bass, Halibut, and Albacore fishing are also available in season. In addition, we have exciting nature trips, including magnificent whale migrations, outstanding bird watching at the Farallone Islands, and other bay and offshore excursions. 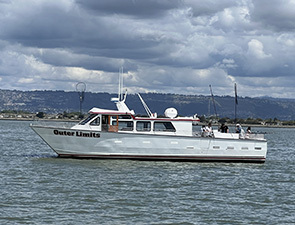 Rick Powers is the President of GGFA, which represents Charter boats from Fort Bragg to Monterey and carries approximately 200,000 recreational anglers each year. Founded in 1948 Golden Gate Fishermen’s Association has been working with local, state and federal agencies to enhance our ever-threatened marine and anadromous fisheries environment.